Experts agree that breastfeeding is the best way to nourish a newborn baby. In addition to protecting against many illnesses, it creates a bond between mother and infant. Additionally, it is convenient and free. Breastfeeding is best for your baby. Breast milk has maternal antibodies, which help fight off illness. Colostrum, a yellow watery premilk, is made by the breasts for the first few days after birth. Colostrum helps your baby’s digestive system to grow and begin functioning. Studies demonstrate that breastfed babies have less asthma, colic, and fewer ear infections. Breastfed babies have fewer feeding problems, less gas, and often less constipation than formula-fed babies. Finally, breastfed babies have a lower risk of sudden infant death syndrome. Breastfeeding is also best for you as a new mother. 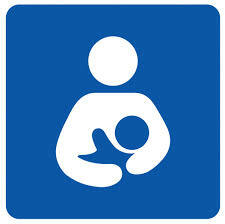 Breast milk is free, readily available, and always at the right temperature. Breastfeeding releases hormones that make the uterus contract, decreasing the amount of bleeding after delivery. Breastfeeding burns calories. Typically, breastfeeding burns 500 calories a day. With 4200 calories in a pound of fat, you could lose a pound for every 8 days you breastfeed. While you are nursing, you will need more nutrients than normal. Be sure to get a well-balanced diet with at least 1000mg of calcium a day. Drink plenty of water. Avoid foods that bother the baby. If your baby seems fussy, or gets diarrhea or a rash, consult your pediatrician. This can signal a food intolerance or allergy. Although breastfeeding is a natural process, it takes practice. If you plan to breastfeed, let your doctor know during your pregnancy. Your doctor will examine your breasts for any potential problems and answer any questions you might have. After delivery, the nurses at the hospital can help you learn to breastfeed. Try to be patient as you and your baby learn this natural process together, and see how rewarding it can be for both of you.